Going by these photos - and except for the greenery and autographs - it doesn't look too bad. I'm glad to hear it's not got to wait long for the Classic Flyers Treatment. Excellent news! We had the garage next to the playground, and I was the un-witting vandal employed in early 1966 to make this Grumman 'kid-safe' when it was mounted at the park at Havelock Nth. We rivetted plates over any aperture that might attract sticky little fingers, and secured anything movable that could trap children's hands, feet, what-ever. The fuselege was complete at that time and apart from the missing engine, it looked ready to fly away. It was hugely popular as a climbable play item. No digital cameras then, so no photos. A very good article, thanks for sharing the link! I for one would like to see it restored to its wartime paint scheme. It may well have served as a target tug, but surely that role was an inglorious one. While NZ2505 is still at Classic Flyers and 'Plonky' is able to visit, the prospect of three Avengers together in operational schemes is a rare opportunity not to be missed. Totally agree. Much better to recognise all the war time crews. It bugs me how the RAF Museum painted their Tempest V in TT colours. Machines designed to kill should look the part I say. They should look how they left the factory and arrived on squadron. Yes, the RAF Museum's decision to paint the Tempest in that scheme was very controversial and divisive. Our only opportunity to view a Tempest and they have chosen to paint it that way because that's what the particular aircraft did. There will be a day when NZ2539 will be the only representative of the type at Classic Flyers and it needs to honour those who served in a combat role. Don't forget a large number of our 48 Avengers never saw combat. Only 30 were used in the Pacific by No. 30 Squadron and No. 31 Squadron and the Communications Flight in Fiji. Most of the aircraft were indeed operational within New Zealand, patrolling our eastern approaches, but they didn't see combat here of course. Twenty of the aircraft became target tugs in wartime, in 1944 to replace the venerable Vildebeest tugs. They were used to train P-40, Harvard and Corsair pilots, Ventura Air Gunners, anti-aircraft gunners and probably others, in air gunnery, so they were a very valuable asset in that role, just as the Vildes had been. Towing targets was an important and vital role, and contrary to what many believe the tugs were usually flown by experienced, very good pilots. And also it was dangerous, I'd be pretty sure the Avenger target tugs had more live rounds fired at them than most of the other Avengers. I have no problem with one of the five Avengers in NZ wearing a different scheme. And then there is the other thing to consider, Classic Flyers have a Catalina in US Navy colours and a P-40 in RAF colours, so who's to say they will automatically paint this into RNZAF colours? It would look great in Fleet Air Arm colours actually. I think the T Tug scheme is wholly appropriate and super cool, maybe if we only had one TBF in NZ then sure, paint her as a pacific one. But we have the luxury of 3 ex RNZAF, so my vote is for that. But then I dont have any say or right to. Just pleased she has found such a great home! Was 2539 one of the Topdressing trials Aircraft? if so, then thats the config it should be in, due to the significance that experiment had on the whole of New Zealand's history, geography and economy. Arrived in New Zealand on "Peter White". Assembled by No.1 Aircraft Depot, Hobsonville and BOC 12 February 1944 with Unit 36, Hobsonville. To Nausori in 1944 for use by the Communications Flight, returning to New Zealand in January 1945. One of the last 3 Avengers on strength with the RNZAF. 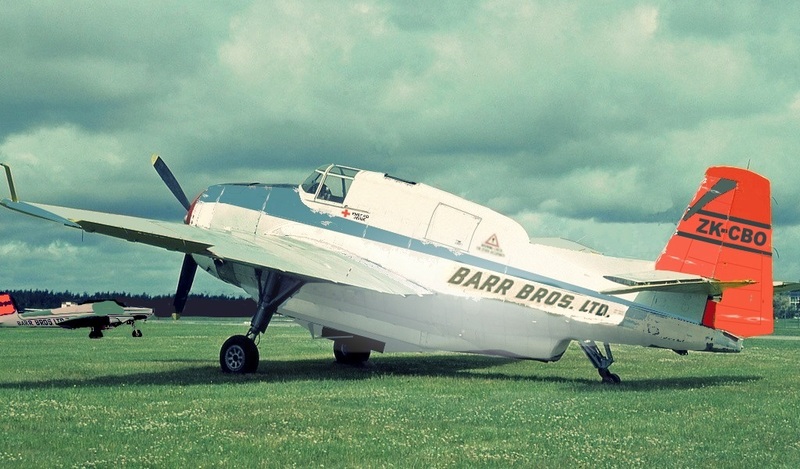 Sold by GSB tender number SR228/59 dated 23 September 1959 to Bennett Aviation, Te Kuiti. To children's playground at Havelock North on 24 August 1965. Recovered and now believed to be in storage with Ken Jacobs in Auckland. The topdressing Avenger werent modified,they winched a loaded hopper up into the bomb bay.They didn't load them like a Fletcher. I believe NZ2504, 05 and 06 were the topdressing aircraft - 06 didn't last long tho, having skidded off the runway at Hood. It may not have been Hood Aerodrome. RNZAF [Royal New Zealand Air Force] Accident Reports - Avenger - NZ 2506 - Te Whiti - Failed take off - 3 May.